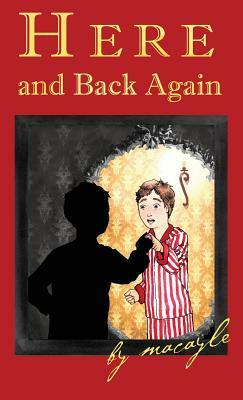 Here and Back Again tells the story of Mac, a boy who never really belonged anywhere--until he arrives at the Manic Street Orphanage. There, he meets new friends, a strange professor who seems to know something about everything, and a peculiar little animal that leads the way to the greatest adventure of Mac's life. Whether traveling through a wardrobe to a magical fantasy world, or traveling on the ear of a big friendly giant to a land of even-bigger (and not-so-friendly) giants, the world of the fantastic and strange is closer than you think. Mac doesn't find any fantasy wardrobes or giants at the Manic Street Orphanage, but he does find a door to a strange place, and he might just have found a home, too--that is, if he can ever get back there. Here and Back Again will take you on an exciting adventure If you loved the Chronicles of Narnia--or works by Quentin Blake, Lemony Snicket, Tony DiTerlizzi and Holly Black, and JK Rowling--you will love the Knightswood Tales series by Macayle. Their rich imagery and imagination makes this the sort of stories to be enjoyed by everyone, children and adults alike.